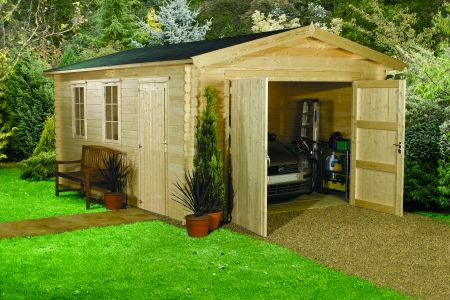 The Koppelo is an ideal choice for a workshop, garage or studio. Comes with lockable double doors to the front and a single door and opening windows to the side. The build quality of the Koppelo together with its clever 'tilt and turn' windows and shingle tile roof sets it apart from its rivals. Also benefits from a low door threshold. * External refers to the maximum external dimension excluding roof overhang. For log cabins with terraces, this has been included in that dimension.